Fly fishing equipment you need before hitting the stream. On this page we will help you understand what type of fly-fishing equipment and gear you will need before you start to fly fish in America. It is obvious that a fly-fisherman will need a rod, reel, waders, fishing vests and other gear but we want to make sure you know which one is best for you. Proper gear is one of the three requirements to having a successful experience. First you need a good stream, river, or lake. Then you need good equipment. Finally you will need good tactics, so you know how to fish in order to start landing the fish. 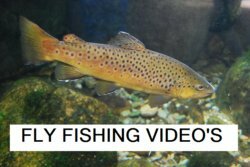 Are you just starting fly-fishing? Are you looking for help on how much to spend on each fishing item? If so, then take a look at this fly fishing budget which will help you determine how much to spend on each item with 6 different budget scenarios. Click on link below for the product you are interested in finding out more about it. As I mentioned earlier you are going to need a fly rod, and a fly reel, which will need some fly line. To get the most out of fly-fishing you will need some waders, and wading boots just to get started. But you are also going to need artificial flies to catch the fish, and a fishing vest and other gear. If you are new to the sport you will soon realize the value of polarized sunglasses and proper apparel. There, now you are ready to fly fish. Click any of the links just mentioned and learn more about each item. The proper equipment is a must, so find out what works best for you. Here is something to think about when you are looking to purchase your gear. You don’t need to purchase the most expensive item offered, but you shouldn’t buy the cheapest item either. You should aim some where in the middle or mid-low end, until your skills are so advanced that you can see and feel the benefits of the more expensive items. You could easily spend $1,000 for a fly rod but a fly rod less than $200 will work great for a beginner. When deciding what fly shops to be affiliated with I wanted to make sure that the beginner or average fisherman could buy great equipment at affordable prices. So I created a relationship with Amazon and selected some items to put in my Fly Shop. Various Fly Shops and Bait Shops listed on the fly-fishing by state pages. This would be a great place to go to talk to someone face to face that is very knowledgeable of the area and can make recommendations that would fit your budget. Check out these great online stores! In addition to Amazon I wanted to have at least one really great fishing store on my website, that every body knows and trusts. So I added Cabela's Buyer's Guides website. Everyone knows them, they have great selection and you can trust their website to make purchases. 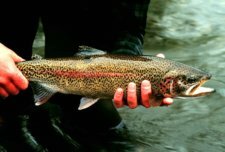 Leland Fly Fishing Outfitters is another well known fly fishing outfitter. This is another complete on-line store that has plenty to offer. Another great option is Sierra Trading Post: Save 35-70% on Outdoor Gear and Apparel. This is an on line store that has some fly fishing equipment and apparel but there is limited selection. If you were on a limited budget this would be a good place to look. 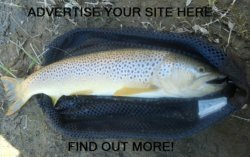 fly fishing equipment -- return to the home page.